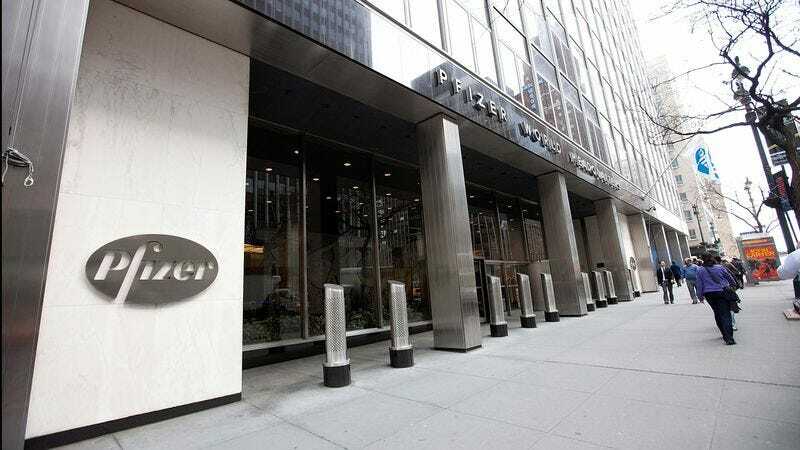 NEW YORK—Pfizer spokesman Vincent Martin announced that the company had achieved a major personal breakthrough Monday by finally summoning the courage and confidence to overcome its need to constantly seek the FDA's approval. "We've spent so many years fretting and obsessing over what the FDA would think of our new drugs, when all that time, the only people we really should have been worried about pleasing was ourselves," said Martin, who was emotionally supported onstage by other international drug company spokesmen who have been through this exact same thing. "So you know what? From now on, we're just going to start manufacturing drugs the way we want, because we're good at it, and, I'm sorry, life is just too short to second-guess yourself." Martin added that if the FDA knows so much maybe they should just start manufacturing their own drugs.